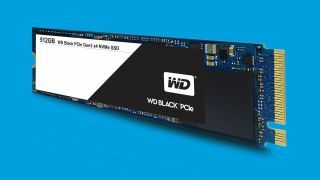 Western Digital has become a major player in the flash memory world since acquiring SanDisk last year and now the company is announcing its first WD Black PCIe SSD. Built on the PCIe Gen3 x4 NVMe standard, this is the storage maker’s fastest drive yet, 2,050MB/s sequential read and 800MB/s sequential write speeds. That’s quadruple the read speed and nearly double the write speed of WD’s previously announced WD Blue M.2 SSD. Arriving in the later half of the year, the WD Black PCIe SSD start at $109 (about £90, AU$150) for 256GB of capacity and doubling the amount of storage will cost you $199 (about £160, AU$275). Not to be left out in the dark, SanDisk also made some of its own announcements with a new microSD card and flash drive. These might sound like small additions, but these aren’t ordinary flash memory devices. The new 256GB SanDisk Extreme PRO USB 3.1 is a veritable Solid State Flash Drive. With transfer speeds of 420MB/s reads and 380MB/s writes, it’s much quicker than your average USB drive. That said, it’s much more expensive at $179 (about £150, AU$150) when it arrives later this month. Lastly, SanDisk also introduced a 256GB SanDisk Ultra microSDXC UHS-I card designed to give your smartphone a massive storage upgrade – an increasingly important factor with more smartphones gaining the ability to shoot RAW images. SanDisk plans to release the card later this month and price it at $199 (about £160, AU$275).